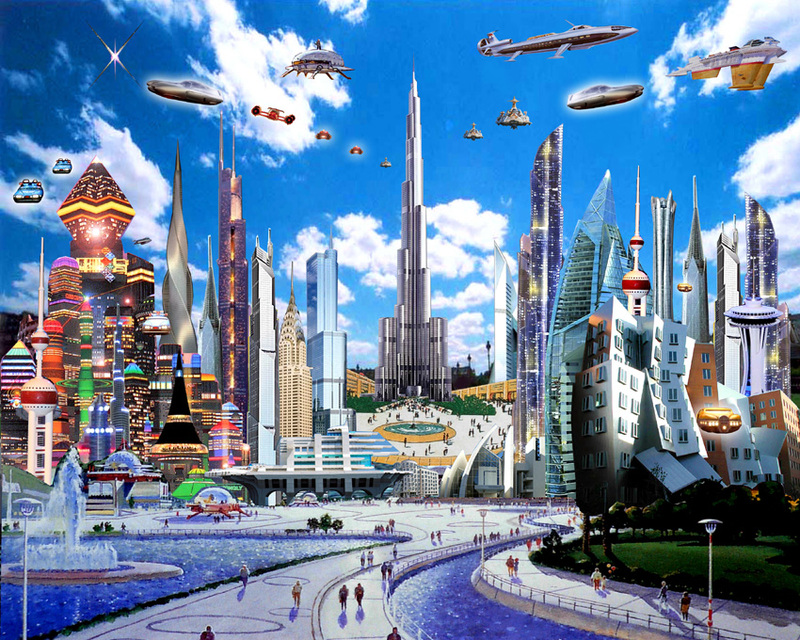 Business Attitude: Re-Urbanization - Imagine No Personal Vehicle. that were built by the J.G. Brill Company. Lafayette Street in Schenectady (Circe 1931). I imagine my hometown of Schenectady and Scotia, New York like it may have looked 80 years ago - with a population concentrated around the city - around where people worked, shopped and socially interacted. 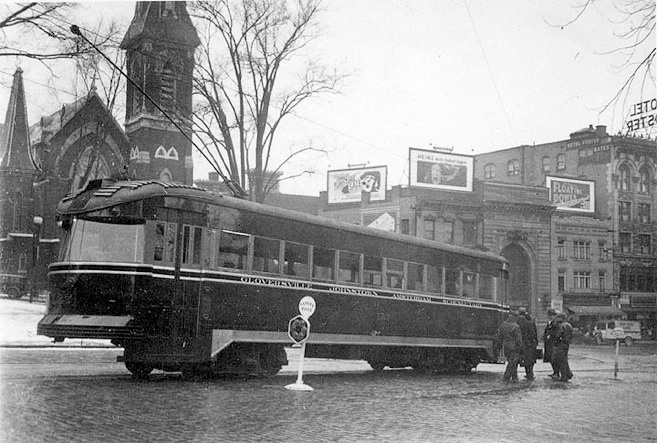 A trolley running down the main street(s) with bus routes to and from the trolly stops. People lived in an urbanized environment - simply "close". We visited the country on our Sunday car rides or when we went on vacation. Then came the 40s, 50s and 60s; cheap gas, a prospering economy, and a DOD project that became our Interstate Highway System (for moving troops quickly). We went from a 15 minute commute to work to a 60 minute commute to work from the country. I question the differences in quality of life, as a people, between the times of the early part of the 20th century and what we evolved into. Would this have happened if energy had not been cheap, the Interstate Highway System had not been built and the times been less prosperous? Maybe we would have been riding Brill's Baby Bullets to work and around town. Now reset the clock to the current day. Expensive energy, an aging interstate system in need of repair and a changing mindset where time is more valuable spent with family and friends than commuting on I95 (add to that the potential of shrinking service / professional wages). I like San Francisco as my model city. An arterial commuter train system (BART) that interconnects several major cities in the Bay Area. 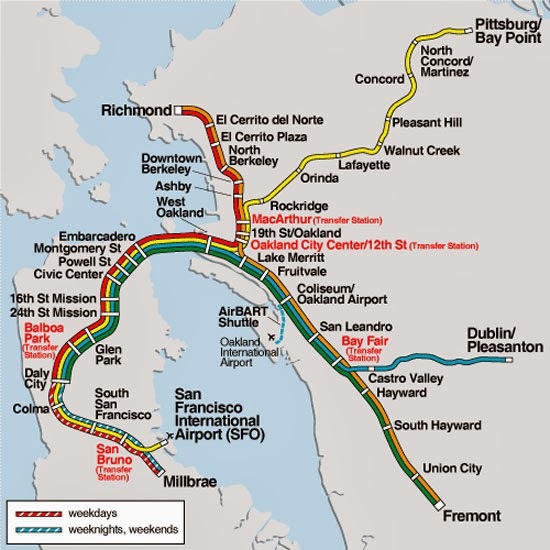 A bus/subway system (MUNI) that connects from BART around and within the major cities and then free "around town" bus/trolleys that provide in town transportation between commerce and shopping locations. Oh, and just in case you need a car for a couple hours - walk up to the corner and get in a Zip Car - No more need for a personal vehicle - rent it by the hour. UPDATE: 1/2/2013 - NBCNews.com: Avis buying Zipcar in $500 million all-cash deal. People will say "that they don't live near a city"... then for the sake of sleeping in the county, they will pay more for energy, pay more for vehicles, pay more for insurance and drive on roads that will remain in disrepair as the population will not pass the tax bonds to pay for the repair and replacement of roads they don't drive. UPDATE: 1/3/2013 - Why This CEO Doesn’t Own A Car: The Rise Of Dis-Ownership. Now imagine inner city/town high speed walkways (like in airports), convenient mass transportation, like in Portland, Oregon and high speed railways between large regional cities. Which cities are ahead of the curve? 10 Best Cities for Public Transportation per U.S.News & World Report February 2011 article..
Will our cities and communities of the future look more like a Jetson's cartoon? "Local" will become much more important in out future. Buy.Eat.Live.Local. Quality of life will be redefined - In our lifetime.